1 in 4 employees are now cloud workers, and the number will increase as more business apps move to the cloud. Disruptive digital technologies like cloud computing have produced a new kind of employee: the cloud worker. 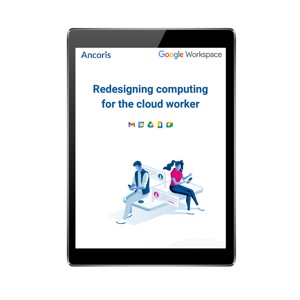 Cloud workers spend more than half their day working in cloud-based business apps, movings seamlessly between different devices. Resulting in improductivity, team collaboration and operational efficiencies. ✓ Replacing ageing IT infrastructure, both in front of users and in the data centre by moving apps to the cloud. ✓ Reducing costs whilst deploying innovative technologies driven through digital transformation projects. ✓ Giving cloud workers secure and easy access to company and customer data whilst they are on the move.